As biking becomes an increasingly popular mode of transportation across the country, special consideration needs to be given to accommodate bikes as they arrive at their destinations. Bike parking should be incorporated into the streetscapes in a way that is both attractive and serves the needs of cyclists for security and capacity. 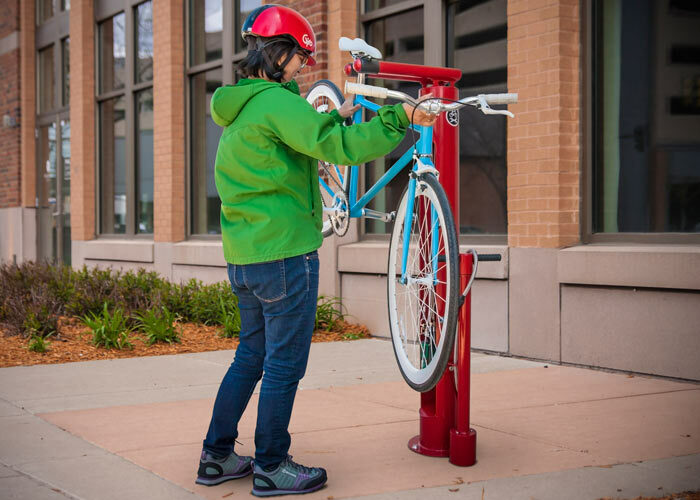 We have collected some of our own tips and observations below to help guide your bike parking project to success for all involved. Not all bike parking is created equal. Despite their good intentions, we wish some racks were never created at all. 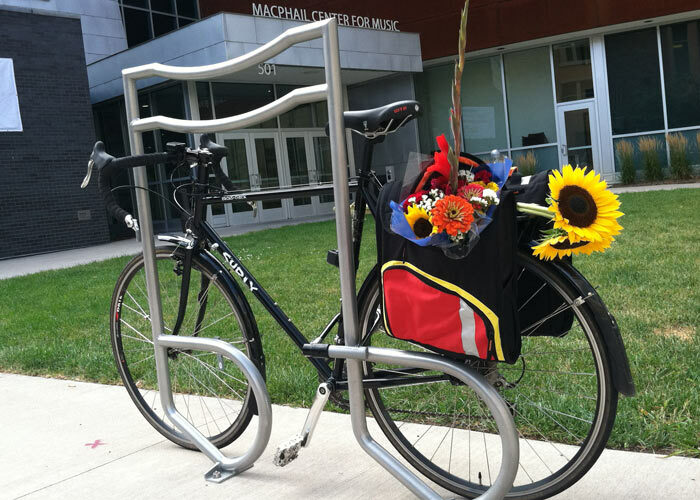 Save the wheels and install bike racks that also support the bike’s frame. 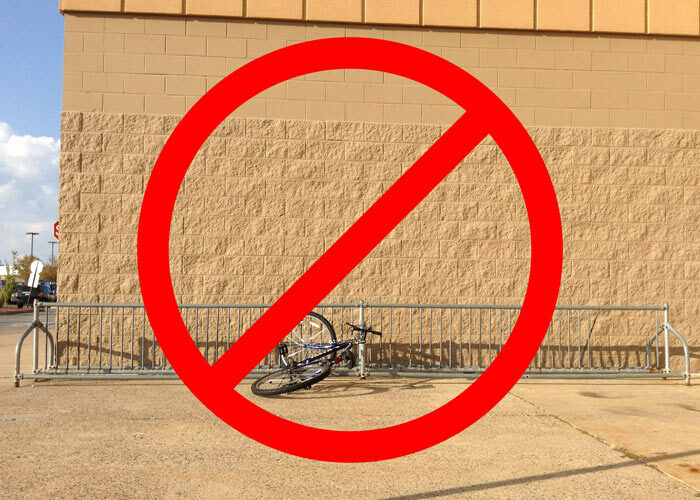 When placing bike racks, it is important to follow some basic guidelines for setbacks to ensure that you do not impede the movement of pedestrians and to provide adequate space around parked bikes. Here is a diagram illustrating our recommended setbacks for bike racks from walls, streets and from each other.